The wait is almost over! Everyone's favorite hammer master is back to the big screen. From Marvel Studios comes "Thor: Ragnarok," the God of Thunder’s exciting new adventure, filled with action, humor, drama and spectacle. The story follows Thor, who is imprisoned on the other side of the universe without his mighty hammer and finds himself in a race against time to get back to Asgard to stop Ragnarok—the destruction of his homeworld and the end of Asgardian civilization—at the hands of an all-powerful new threat, the ruthless Hela. But first he must survive a deadly gladiatorial contest that pits him against his former ally and fellow Avenger—the Incredible Hulk! "Thor: Ragnarok" thunders into theatres on November 3, 2017 across Canada. 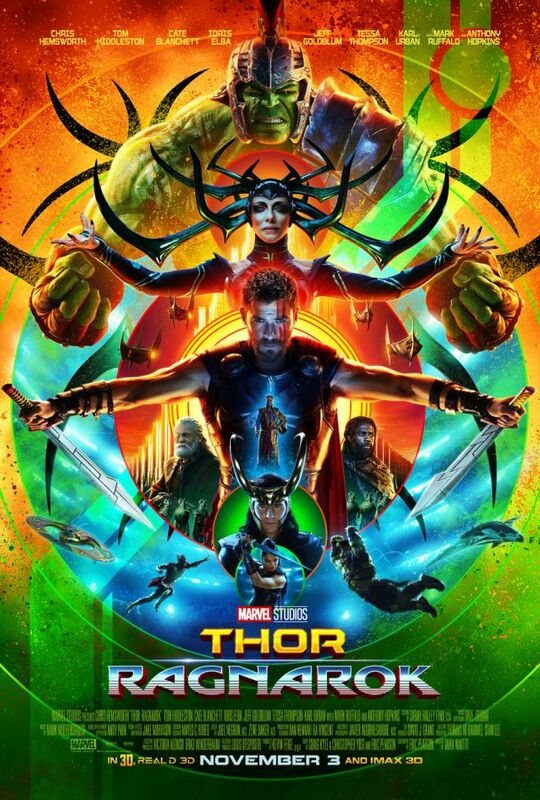 Thanks to Walt Disney Studios Canada, we are happy to give an opportunity to see "Thor: Ragnarok" movie before the official release on November 1st in the following Canadian cities: Toronto, Vancouver, Calgary and Edmonton. The giveaway is open to Canadian residents who can attend the screenings in the select cities. The winners will be awarded codes to redeem on GoFobo site for e-passes. One pass admit two. The giveaway ends October 27, 2017. For your chance to win advance screening passes, please fill the form below starting your city and Good Luck! Calgary please!! Thank you for the chance!! my boys and I are big Marvel fans! Thor is one of my favourite Marvel characters. I am a big fan of superhero movies. This movie seems really fun. It looks like it will be a great movie. Toronto Screening. Thanks. Would love to see this in Toronto! Have been waiting for months. Thanks for the chance. Love to see this in Vancouver, thank you. Hi! I would LOVE to see this with my Son. Thanks so much for this opportunity. LOL!! I forgot to tell you that I'm in EDMONTON. Would love to see this awesome marvel movie with my boy! Vancouver please! Thanks! I would love to see it in Toronto! This movie looks like fun! Calgary please! Toronto please. Looks amazing. Thanks Teddy. Ok, I have entered the contest and I have followed you on all of your social media platforms! I would love to see this movie in Vancouver, especially since my birthday is on November 2nd and my friends and I would LOVE to have this opportunity! Again, thank you so much for this contest opportunity!!! Calgary please and thank you so much. Vancouver please and many thanks! Calgary. Looking forward to this movie. Trailers look fantastic! I can't wait for this movie! Toronto please!